Samsung Electronics unveiled Samsung SleepSense at IFA 2015 in Berlin; Samsung SleepSense is a new type of personal healthcare device that helps people improve the quality of their sleep. Sleep is essential for our general wellbeing, but as busy and stressed professionals and parents, many of us struggle to achieve the recommended seven to nine hours sleep a night, putting our health at risk. Too little sleep is associated with a host of very real problems, from weak performance and increased errors to a greater risk of accidents. Now with Samsung’s new SleepSense,* you can quickly and easily understand your sleep patterns and learn how to improve it without having to seek advice. Samsung SleepSense can be your personal sleep consultant. This sleep monitoring device uses patented technology to analyse your sleep quantity and quality, provides personalised sleep reports and gives you expert recommendations on how to improve your sleep – all through a mobile app. 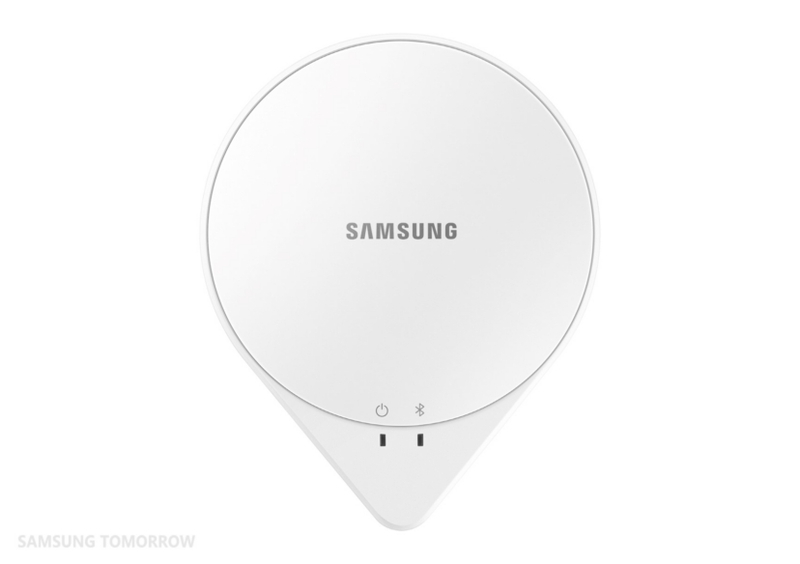 Samsung SleepSense is easy to use: simply place the sensor under your mattress, download the SleepSense app to your mobile, connect the two, drift off to sleep, and SleepSense gets to work. SleepSense is an accurate sleep tracking sensor – with up to 97% accuracy** – available on the consumer market. With real-time contactless sensor it analyses heart and respiratory rates, plus your movement whilst you sleep, so every morning you receive a personalised sleep briefing – a summary of your sleep activity with your sleep score mapped against the average data for your age. Your sleep score is calculated based on seven elements; total sleep time, sleep efficiency, time it took to fall asleep, number of times you woke up, number of times you got out of bed, percentage of time in REM (rapid eye movement) and percentage of time in deep sleep. Based on your individual sleep score, the app will also provide you with expert recommendations on how to improve it. Harvard Medical School Professor Dr. Christos Mantzoros worked with Samsung to provide personalized professional tips on improving your sleep quality, covering your lifestyle, nutrition and exercise. Depending on your sleep pattern, you will receive handy tips and words of advice to help you sleep better next time. A comfortable sleep environment is crucial for good quality sleep. To do this, Samsung SleepSense can be connected to Samsung smart appliances, allowing you to control air conditioning units and to turn off the television when falling asleep – all designed to provide automatically an optimal sleeping environment. The sensor can also be connected to the Samsung SmartThings app that controls many other devices in your home such as thermostats, security cameras, and lightbulbs – all of which may affect or assist your sleeping conditions. Being woken up with noise by your alarm ringing while you are still in deep sleep leaves many people dazed and irritable for the rest of the day. The Smart Alarm feature wakes you up gradually, by analysing the data collated from your sleep stages and identifying the best time for you to wake up. Less groggy and sleepy throughout the day; instead you will feel fresh and energised for the day ahead! For people concerned that their loved ones – for example elderly family members – suffer from a lack of sleep, SleepSense can help: simply put the sensor under their mattress and select the app’s ‘family care’ option to receive an analysis of the quality of their sleep via email. **Based on Samsung internal testing data. All functionality features, specifications and other product information provided in this document including, but not limited to, the benefits, design, pricing, components, performance, availability, and capabilities of the product are subject to change without notice or obligation.